As published on the blog Geezer Online, December 31, 2010. For the complete post, click the link above. Another year tucked away in a life that has seen 68 New Years Eves, and reflections on a few folks who distinguished themselves this year in my own little corner of the cosmos. • The gang at Sleeping Children Around The World, the only charity I know that uses 100% of donor dollars to fund its program. Its travelling volunteers pay for their own trips to distribute bedkits to kids in underdeveloped countries, while its volunteers back in Canada make sure the operation continues to run smoothly. More than a million kids have received the gift of a good night's sleep so far. How about giving them a hand? • Elizabeth, a wonderful woman in Zimbabwe who repeatedly went the extra mile to help our Sleeping Children team get the job done this summer, in very trying circumstances. Thanks also to her for trusting me with her own story of childhood hardship and triumph. It was a treasured gift. My first Christmas card of the 2010 season came from her. • More friends doing selfless work at home and abroad --- Marg and Mike, Clarence, Grant and Leslie, Doug M., Linda, Helen, Hilda, Sidney. It is a privilege to know them. Happy New Year, to all. You can see Dougs's entire list of people who lit up his world in 2010 at his blog post. instead of buying each other presents at Christmas. Bud and Muriel Matthews’ neat little bungalow is festive with Christmas lights. Inside, living room shelves are filled with Santas, snowmen and red bows. Mistletoe hangs from the ceiling and a tree is laden with decades-old ornaments. But there are no gifts. Well, by Christmas morning, there may be one or two under the tree from someone they’ve helped — maybe the refugee family they befriended years ago or one of the "old people" the Matthews take shopping. But there really haven’t been gifts for years, not since their grandchildren got older. And except for those sheets Muriel gave Bud as a Christmas present when they were married more than half a century ago, there’s never been a single birthday, anniversary or Christmas gift exchanged between them. 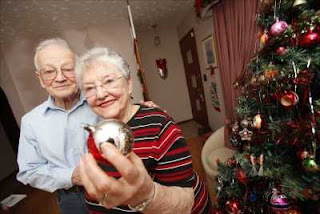 Still, it’s here in Halifax — in their home of 47 years where they raised two children and watched five grandchildren grow — that the spirit of Christmas lives, a generosity, compassion and faith that took root eight decades ago and blossomed. And a spirit of giving that runs all year long. "When she was about 13, (granddaughter) Elizabeth was looking underneath the tree and said, ‘Doesn’t Poppy give you anything, Nanny?’ " 79-year-old Muriel remembers.
" ‘But you close your eyes, Elizabeth. Underneath Nanny’s tree there are people now who can see and there are people now who have food and there are people who now have things they didn’t have before.’ "
It’s an answer that satisfied the young girl, who today says she’s lucky to have such "caring and giving" grandparents. And it’s the best explanation they have for a lifetime spent, as Bud calls it, as their brother’s keeper. "We were never rich growing up, but there was always something to share," he says, recalling how his mother used to pack an extra sandwich in his father’s lunch to give to homeless men living in tunnels near where he worked. "It was born into us to look out for other people," he says. The Matthews’ story begins in Halifax’s north end, where six-year-old Muriel and eight-year-old Bud lived across the street from each other. She quit school and gave up her dream to become a nurse in order to care for her newborn brother when their mother died in childbirth. He took that baby every Saturday to give her time to bake and, at 15, asked if she would teach him to dance. "But he didn’t want to learn to dance," she laughs. "He just wanted to come over to me." "Well, there’s not too many females around my size," says Bud, sharing the sofa and this story with his wife. "I’m five-foot-two and she’s four-foot-six." "Actually, she’s six-foot-10 inside," he says. "And he’s a sweetheart, I tell you," she replies, in the kind of banter that comes from being married 58 years. Those early years were tough. When they married, Bud was earning $1.25 an hour at the Halifax dockyard, where he stayed for 45 years. He had loaned a workmate $250 on a promise he would repay before the couple wed. He didn’t, so the Matthews began married life "scraping the bottom of the barrel." "But he needed that money. That’s the way to look at that," Muriel says. And there’s been a great deal of need since. It’s not that they set out not to give to one another. It’s just that there always seemed to be someone who needed their help more. Over the years, they’ve come to the aid of friends and neighbours, people they met through church — where every five weeks they still take their turn scrubbing, vacuuming and dusting — or through their volunteer work. Sometimes, they reach out to strangers when they hear a story that touches their hearts. Rarely — very rarely — have they been taken advantage of, they say. And they’ve never soured on giving "because other people would just suffer for it," Muriel says. For their 55th wedding anniversary, the couple donated to Sleeping Children Around the World, providing six kids in developing countries with bed kits, including mattresses and mosquito nets to prevent malaria. Later, they received pictures of the children holding signs that read "Happy Anniversary." These days, Bud has cut back on his door-to-door canvassing, but still goes out each February for the Heart and Stroke Foundation. "Some of them are misers — they don’t even give," Muriel says of the people Bud sees on his walkabouts. "But sometimes they’re a little more generous when they see how frozen you are," Bud says, with a grin. "I think my age contributes to that a little bit." But while Muriel admits to getting "a bit angry" by those who claim they can’t afford to give anything at all, Bud reacts differently. "Actually, I feel sorry for them," he says. "They’re denying themselves the opportunity to participate in something bigger than their individual lives. They actually lose in the process." The Matthews, who only agreed to tell their story in the hope others may be inspired to help whatever way they can, say they take great delight knowing their children and grandchildren are also givers. Granddaughter Elizabeth Isenor, home from Calgary to get married on Wednesday, has asked wedding guests not to buy gifts but to donate to charity instead. Shower guests were asked to donate money that she will give to a shelter for abused women and their children. "A lot of our ideas are the same," says Isenor, a medical student. "It’s hard to look at someone else who has nothing, to sit there and enjoy what you have when there’s somebody else out there who isn’t as well off." The Matthews say they’ve always lived frugally but want for nothing. And with Muriel having been diagnosed with — and beaten — breast cancer, skin cancer and cervical cancer, they know what’s truly important. "I have the thing I ever wanted most in my life," Muriel says, reaching for her husband. "That’s him. That’s all I want. As long as he’s by me, I’m the richest woman in the whole world." Many interesting and exciting things have been happening at Knox over the past month. On Nov. 14 we welcomed Rev. Sandy McDonald to our pulpit for the morning service. Rev. McDonald attended Knox as a youth and was ordained here. He currently serves a church in Nova Scotia. On Nov. 21 the annual Ease Into Christmas was held. This event helps get us into the Christmas spirit with great ideas on decorating, food for Christmas parties and fashion trends. Proceeds from this event go to support youth. During the Santa Claus parade a troop of Knox members could be seen outside the front of the church with large urns of hot chocolate that was enjoyed by those watching the parade. Three hundred and seventy cups were served. On Dec. 6 the Kid's Christmas Shopping Spree took place. Large tables of gifts for the whole family quickly depleted as the kid's filled their shopping lists. The kids left with their gifts brightly wrapped and bagged by the wrapping elves. Money from this event will go to Sleeping Children Around the World. The new accessible wash-room on the third floor is nearing completion. This will be a great asset to Sunday School and Wig Room clients. The refurbishing of the nursery continues. Want to hear the Knox Choir sing? Go to the following web-site and click on the red virtual choirs box and you can hear the choir singing as well as the Praise band. The Alley Thrift Store Mission has had a very busy December. We are pleased that we have been able to help many local needs. Donations have been given to the House of Blessing, the Salvation Army, To Stratford with Love, Simple Dreams, the Children's Aid Society and the Rotary Club for Aquaboxes for Haiti. Our store hours are Thursday, Friday and Saturday 10 a.m.-3 p.m. We will close on Dec. 23 and reopen Jan. 13. On Sunday, Dec. 12 the annual Sunday school and Youth Group Christmas Pageant was presented during the morning service. The pageant was written by David Strahan and directed by Colleen Rothwell. The Praise Band provided music for the service. The worship service was led by Allan and Nancy Rothwell A potluck lunch was enjoyed after the service. On Christmas Eve a Family Service planned with children in mind begins at 6 p.m. followed at 7:30 p.m. by the Community Service of Lessons and Carols with special music by the Praise Band and Senior Choir. Refreshments will be served in the banquet hall after the service. The Knox family wishes everyone a Merry Christmas and Blessings for the New Year. CAMBRIDGE - Gore Mutual is pleased to announce that, together with their Foundation, they have supported over 125 organizations across Canada, with over $470,000 in donations. The Gore Mutual Foundation’s mission is to support the communities where Gore Mutual operates. The Foundation provides funds to social services, education, health, cultural and environmental activities that are in the best interest of these communities. Recipient organizations include Bridges To Community Canada Inc., Canadian Cancer Society of Ontario, Children's Hospital of Eastern Ontario Foundation, Juvenile Diabetes Research Foundation Canada, Sleeping Children Around the World, Special Olympics British Columbia Society, The Children's Wish Foundation of Canada and several United Way agencies across the country. The holidays (between the thankfulness of Thanksgiving and gift-giving of Christmas) are a time for us to realize not only how lucky we are (and if you're reading this, just by having access to a computer you're luckier than probably about 90% of the world's population), but how many other people need a hand just to make it from day to day. Especially now, when those in need are no longer just abstract starving children in the third world (which sounds insensitive, but that's actaully the way many of us perceive problems in the third world - as abstract), but an increasing number of people in our very own "developed" nations, with whom we have contact every day, who find themselves in dire straights, it's a time to think about what we can be doing for others to try to improve their situation in the little ways we can, and to make the world a better home for everybody. Here's a list of different ways you can make your contribution. As a Scottish proverb says, "charity begins at home, but shouldn't end there." So get outside your homes and give some charity. 27. 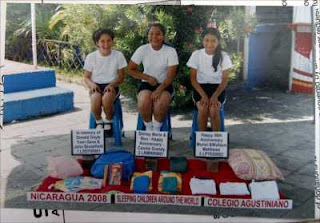 A $35 donation to Sleeping Children Around the World www.scaw.org provides a BedKit that consists of a mat or mattress, pillow, sheet, blanket, mosquito net (if applicable), clothes outfit, towel and school supplies for a needy child. You can see Julia's entire list of philanthropical causes at her blog post. As posted by Mugglesam on Hot Videos. Every year we pick the charity Sleeping Children Around the World for our Project 4 Awesome!! (P4A) This year we ask that you ask Santa for a bedkit from the SCAW charity to be giving to a little boy or girl who doesn’t have a bed to sleep on. We love this charity because it’s all run by volunteers and 100% of the money that you donate goes to the child. Dec 10, Update: Sophia’s class wrote letters to Santa and Sophia asked for a bedkit and nothing else. No I did not tell her to do this! Santa wrote her back!! He was so impressed he IS going to get her a present along with the bedkit. She is so happy! Sophia has been helping bring awareness to this charity ever since a friend gave a bedkit on her behalf for her first birthday. Sophia made a video for the charity when she was 5 years old where she interviews someone from SCAW’s heard office. You can watch that video for more info here. So yes, every year Sophia asks Santa for a bedkit. © by Mugglesam. All rights reserved. Any unauthorised broadcasting, public performance, copying or re-recording will constitute an infringement of copyright. A Mississauga couple hosted a cocktail fundraiser that raised over $5,000 Sleeping Children Around the World Thursday night at an Erin Mills restaurant. Lisa and Jim Browne were joined by some 80 people at the Rosewood Bistro, where they held a raffle with over 40 items up for grabs. The fourth annual event raised enough money to buy 145 bed kits - valued at $35 a kit - for its charity of choice. 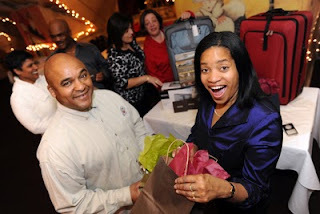 Last year, they raised enough to purchase 138 bed kits for needy children in Africa and India. Investment dealer Raymond James has raised more than $40K to support the activities of SCAW in recent years. Raymond James employees raised $10K this year from the sales of Holiday Cards drawn by children and friends of Raymond James Associates. What follows is from the company’s internal website. The spirit of giving is alive at Raymond James. 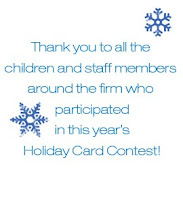 For the fourth consecutive year, our holiday card contest has raised more than $10,000 thanks to all the children and staff members around the firm who participated. The money raised from the contest will help support Sleeping Children Around the World (SCAW) - a charity that provides bedkits to children in need. Each bedkit includes a mat or mattress, pillow, sheet, blanket, mosquito net (if applicable), clothes, towel and school supplies. Since its founding in 1970, SCAW has provided more than 1.2 million bedkits for children in 33 countries. Listen to an interview with Warren Wagstaff, Financial Advisor from the Vancouver Cathedral office in which he talks about his involvement with SCAW organization and some volunteer experiences. This Take 5 Interviewwith Warren Wagstaff was posted this week on the internal website for Raymond James employees. Patricia Stenton directed, produced and choreographed the ballet, which was set to music by Boccherini, Debussy and other composers. “The Snow Queen” was the 11th ballet Stenton has put on over the years in support of Sleeping Children Around the World, a Canadian charity that provides bed kits to youths in impoverished countries. hosted the Oshawa Generals at the Hershey Centre tonight. first goal were donated to Boys & Girls Club of Peel. Corey Bureau did his best to try and launch the Mississauga St. Michael’s Majors to another victory tonight. It didn’t quite work out that way but perhaps more importantly, he created an avalanche that will benefit needy youngsters in Peel region this holiday season as well as underprivileged children in developing countries. The Mississauga forward scored the first goal of the game but it wasn’t enough to lift the Majors to a win as Mississauga went down 3-2 to the Oshawa Generals in front of 3,425 spectators at the Hershey Centre, suffering their first loss on home ice in regulation time this season. But what the goal did was produce a flood of stuffed toys that littered the ice in the Majors’ fourth annual Teddy Bear Toss. The toys, donated by local Canadian Tire stores, will go to the Boys and Girls Club of Peel to distribute to needy children in the region over the Christmas holiday season. The money raised from the sale of the stuffed animals will go to the Sleeping Children Around the World, a foundation that provides bed kits for needy children in third-world countries. “Kids are kids, no matter what part of the world they are in,” said Dave Dryden, a former National Hockey League goaltender who administers the Sleeping Children foundation that was founded by his father Murray more than 40 years ago. “The Teddy Bear Toss is just such a logical connection because it involves toys and kids,” continued Dryden, who was the backup goaltender to Gerry Cheevers 50 years ago when the Majors last won the Memorial Cup. 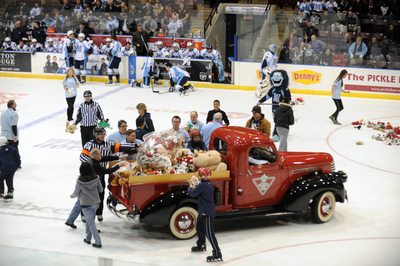 Team officials say that 1,614 stuffed toys were thrown on the ice after Bureau’s goal near the 10-minute mark of the first period and that should help make Christmas a little happier for needy children in the region. It is the largest total the Majors have reached in the four years of the event. It didn’t provide the Majors with the inspiration they needed to handle the Generals, who got goals from Boone Jenner, Christian Thomas and Andy Andreoff en route to snapping a two-game losing streak. Thomas, the son of former Toronto Maple Leafs star Steve Thomas, tied the game 2-2 early in the second period with his 22nd goal of the season and 10 minutes later, Andreoff scored what proved to be the game winner when he pounced on his own rebound and batted the puck in mid-air past Mississauga goaltender JP Anderson. After Bureau opened the scoring, Jenner tied the game with a power-play goal. Majors forward Riley Brace was serving a minor penalty for slashing when Jenner beat Anderson with a low bullet shot from the top of the faceoff circle to the left of the Mississauga netminder. Joseph Cramarossa put the Majors back on top when he scored his seventh goal of the season with just over a minute remaining in the opening frame. But that would do it for the Mississauga offence as Oshawa goalie Peter Di Salvo, acquired by the Generals earlier in the week in a trade with the Barrie Colts, closed the door on the Majors. Di Salvo, who was beaten for seven goals by the Majors back on Nov. 26 when he played for the Colts, stopped 28 of 30 shots. Anderson turned aside 21 of 24 shots. It was the last regular-season game for a while for Anderson and Casey Cizikas of the Majors as well as Oshawa defenceman Calvin de Haan. All three will be at the Team Canada selection camp that begins on Sunday in Etobicoke as they try to earn a spot on the Canadian squad that will compete at the World Junior Hockey Championships. The world tournament gets underway on Boxing Day in Buffalo. WATERLOO – Two Renison students have received the 2010 President’s Circle Award for Volunteerism. Laurie Guay and Julia Read were honoured at The President’s Circle Award Banquet in recognition of their volunteering experience and contributions to the University of Waterloo and other communities (both local and international). Established in 1997, the President’s Circle Award honours 10 uWaterloo students annually for their extra-curricular contributions - 5 for leadership and 5 for volunteerism. Students are typically nominated by staff or faculty for their ongoing commitment to improve the quality of life for others. Laurie, a fourth-year Social Development Studies student, traveled to Uganda this summer to distribute bed kits to children in need with the organization Sleeping Children Around the World. She was a Don at Renison in her third-year and is still actively involved with the Renison Institute of Ministry, welcoming students to the community. She also teaches Sunday School at South Kinloss’ Presbyterian Church. In June 2010, she was also awarded the Principal's Merit Award for Outstanding Contribution to Life at Renison. Julia, who is currently enrolled in Renison’s Bachelor of Social Work program, volunteers with children in First Nations communities, works as a community garden organizer, and sits on the Board of Directors for Stonehenge Therapeutic Community. She also volunteers at the Renison Institute of Ministry and is a member of the Renison Academic Student Council. The donor newsletter for the Bangladesh bedkit distribution has gone to print and can be downloaded from the Sleeping Children Website. 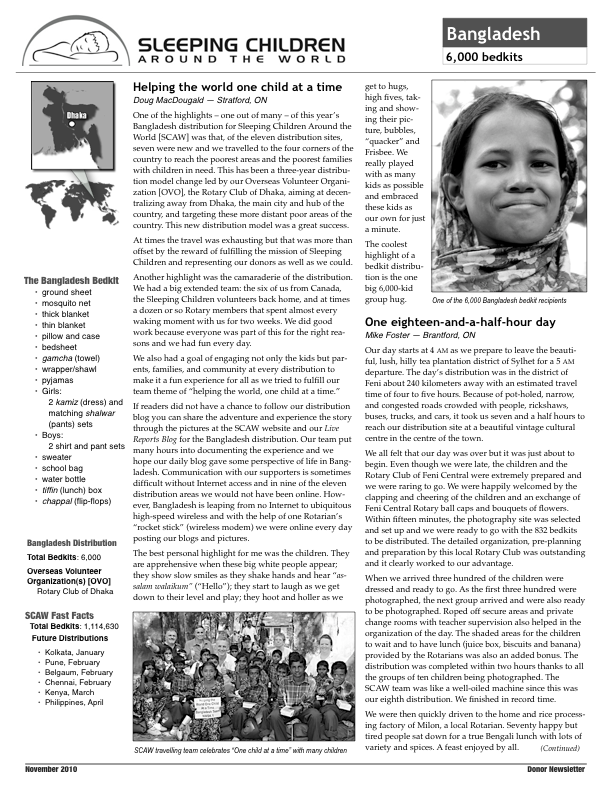 Photos are available in the Bangladesh 2010 Photo Album. You can view them by clicking the link above. 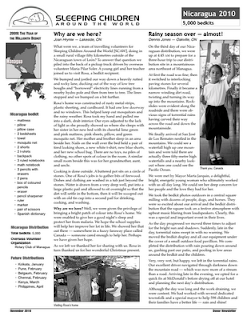 The donor newsletter for the Nicaragua bedkit distribution has gone to print and can be downloaded from the Sleeping Children Website. Photos are available in the Nicaragua 2010 Photo Album. You can view them by clicking the link above. Submitted by Ken Graham, SCAW Volunteer. The Guelph Wellington Retired Women Teachers held their annual Christmas dinner and program Wednesday December 1st. Each year at this event individuals are given the opportunity to donate to Sleeping Children Around the World. 130 retired teachers were there and when the donations for bedkits were tallied they had contributed $6,338.50! That's right six thousand three hundred thirty eight dollars and fifty cents! That translates into 181 children that will have a better chance in life from here on. Thanks and congratulations to those retired teachers who continue to do good things! This was done in memory of Ann Graham, a former teacher, who passed on almost six years ago. After many months of preparation, the Snow Queen is ready to hit the stage in early December. The ballet will be performed by approximately 45 children and youth, ages three to 17, plus one young adult, who are students at the School of Dance & Musicianship. Patricia Stenton, director of the school, also took on the role of producer and choreographer for the production. "I started thinking about The Snow Queen as a ballet in the spring of 2009. When I discussed it with my senior dancers and saw their enthusiasm, my work could begin in earnest," she said. After deciding the theme, she had to familiarize herself with the fairy tale by Hans Christian Anderson by reading it many times and selecting the essential aspects of the story in order to arrange them into dance scenes which would create a full-length ballet. "As for the choreography itself, that's a process that evolves over a long period of time like a mosaic that slowly becomes a work of art, one piece at a time," Stenton explained. "Since there was no suitable musical score I had to spend a lot of time listening to all kinds of music to find pieces that would help us tell the story through dance." In addition to the hours Stenton has spent organizing this production, the dancers have been very dedicated to rehearsing. Among the 45 performers, there are 10 girls, ages eight and up, who form the "Huronia Ballet Theatre, The Young Company" and who have made a particularly strong commitment to ballet performance by training and rehearsing several times a week. "This past spring all the major roles were cast and a good number of dances were set before the summer break. All senior students attended summer school to be back in training early," said Stenton. "In September, we welcomed quite a few new students who have had only two-and-a-half months to get ready for their performance. The youngest are only three-years- old and had a great time at the first stage rehearsal last week." Stenton says that by participating in a large dance project, everyone becomes part of one big "ballet family." "Our senior dancers feel proud to be role models for the rest of the cast while enjoying the admiration of the younger cast members," she explains. "The junior dancers are excited about being on stage with the older girls. A wonderful bond becomes visible between all students." This production is also made possible with the help and support of volunteers and parents. "It's impossible to count how many hours went into preparing this production. I know that my set designers, Scott Hook and Sue Laliberté, have put well over 100 hours into creating the scenery. Rick Ferguson and Conrad Stenton have spent several afternoons on getting the Magical Mirror to work," she said, noting there are about 120 costumes in this production and their creation was equally time-consuming. 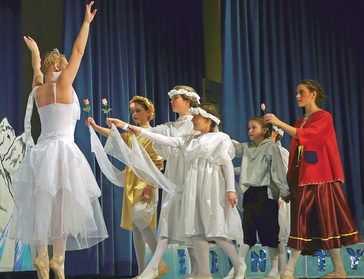 Despite the amount of work involved, the school has put on a production every two years since 1985, including full-length ballets such as The Nutcracker, Hansel and Gretel and C i nderella. This year the story of the Snow Queen is of two best friends, Gerda and Kai, who are separated when the Snow Queen takes Kai with her to her icy domain. A magical mirror adds to the dramatic events and Gerda must brave many adventures when she sets out in search of Kai. The ballet is filled with the many colourful characters Gerda meets along the way to the story's happy ending. In addition to featuring the talents of the dancers, all profits realized will benefit Sleeping Children Around the World (SCAW), which has been the charity of choice for all of school's public performances since 1991. Stenton selected this Canadian charity for several reasons, including the fact that 100 per cent of donations reach the poorest children in the world and each $35 donation provides a bed kit for a child containing a mattress, bedding, clothing and sometimes school supplies, dishes or a layette for a baby. The items in the kit are produced, as much as possible, in the countries receiving the donations, creating work opportunities. "Our students learn about these children who will probably never enjoy a ballet lesson in their lifetime and who are lacking the very things we all take for granted," said Stenton. "It's no longer just about us working hard towards our best performance ever, but the focus becomes Children Dancing for Children.'" "We would love to raise 50 bed kits for SCAW with our ballet. Unfortunately, this year the overall expenses of putting on the shows are much higher than ever before which makes it harder to raise the funds" said Stenton, adding that some in the community have come forward and donated money for bed kits and donated two gift baskets which will be raffled at the shows in support of SCAW. "All our productions have been well received by the audience. We have a mailing list of patrons that reaches well beyond the parents and friends of our students. There are people in our community who have never missed a production in all those years," said Stenton. The Snow Queen will take to the stage at Monsignor Castex School in Midland on Dec. 3 at 7 p.m. and during a 2 p.m. matinee performance on Dec. 4. Tickets are $15 for adults and $9 for those 18 years of age and younger and are available at Johnstones Music Land, The Explorers Café, Karma Marketplace and through the School of Dance and Musicianship at 526- 5256. For more information about Sleeping Children Around the World or to make a donation, visit www.scaw.org. 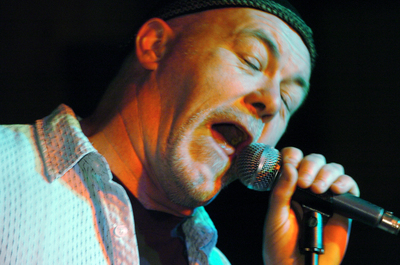 With his fifth record, It’s A Long Road, nominated for three Maple Blues Awards – including Entertainer of the Year – Mississauga singer Johnny Max hosts his second annual Christmas party at The Harp this Saturday. And he hopes to prove the album title true, by touring further afield. Stylistically, it’s an extension of his previous (Juno-nominated) A Lesson I’ve Learned, with swampy N’Awlins grooves coloured by sweet B3 organ, barrelhouse piano, roadhouse guitar, a full horn section and, of course, Max’s trademark wit. He still falls back on the blues clichés in places, but elsewhere he stretches out, reminding favourably of Tom Waits on the lilting Song Of New York. And this disc has more of a band feel, with the material co-written and co-produced by Max and bandmates Vince Maccarone (drums), Wayne Deadder (bass) and John Findlay (guitar). It was recorded at the local Metalworks Studio and mixed and mastered by Nick Blagona (The Police, Cat Stevens, etc.). At this point, Max fronts four different bands, promotes concerts, hosts an internet radio show (Sunday Morning Soul, on The Haze FM in Mississauga), paints houses and refs hockey games to keep the bills hounds off his back. The amiable father of two laments that, “There’s no organic music on the radio (any more). The party kicks off at 4 p.m. at The Harp, 55 Lakeshore Rd. E., with performances by both the Johnny Max Band and Johnny Max & The Heart Attacks. Admission is free, but they’re requesting a $5 donation to the Sleeping Children Around The World charity.